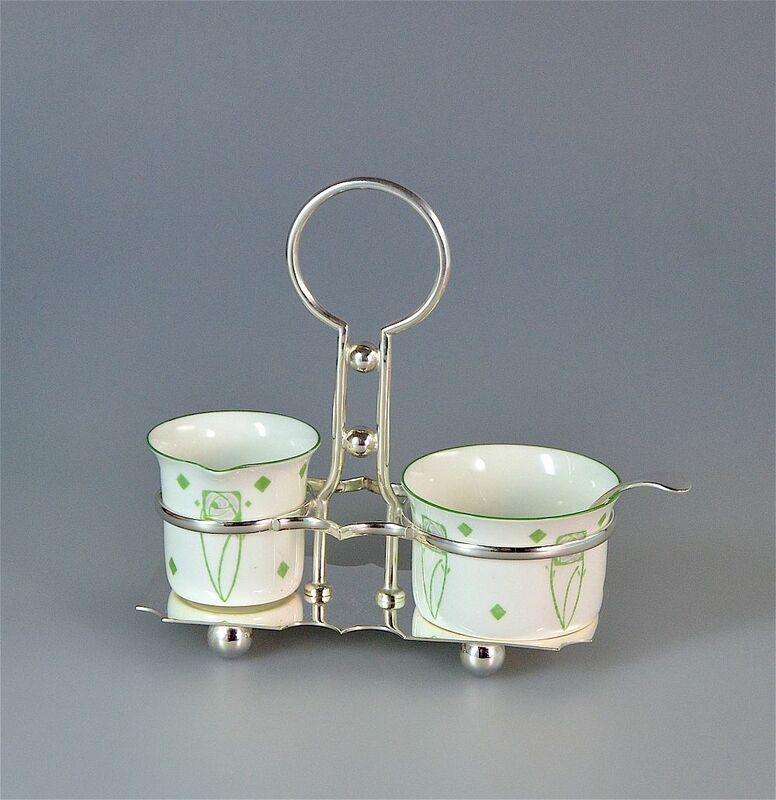 This gorgeous strawberry set consists of a china cream jug and sugar bowl with a silver plated sugar sifter in a silver plated stand. The jug & bowl are by Foley Art China in a green & pink Rennie Mackintosh style design known as Peacock Pattern. 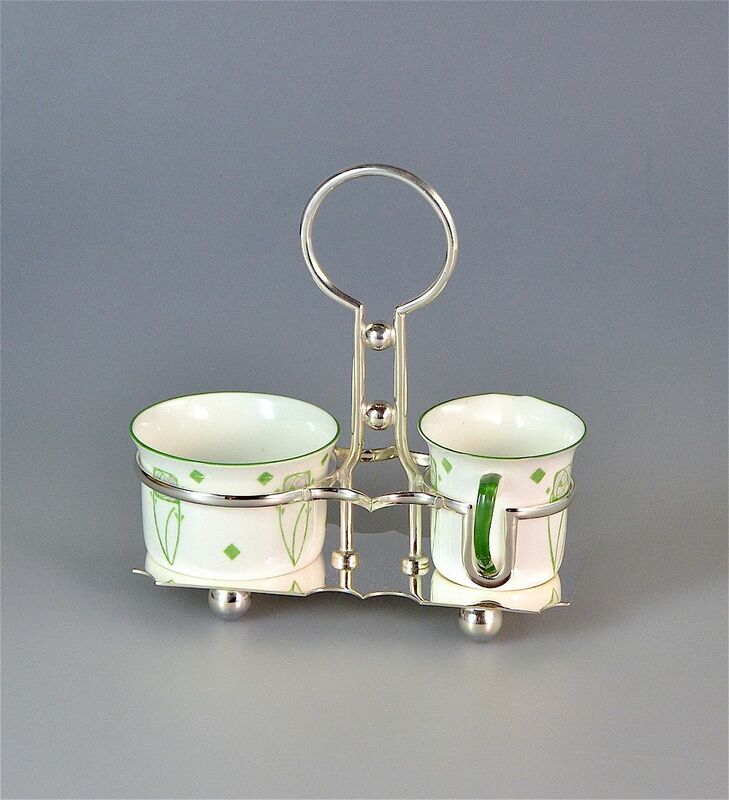 They both sit in their individual compartments in the silver plated stand that has ball feet a scalloped base and a key hole shaped handle with 2 spheres part way up the stem. 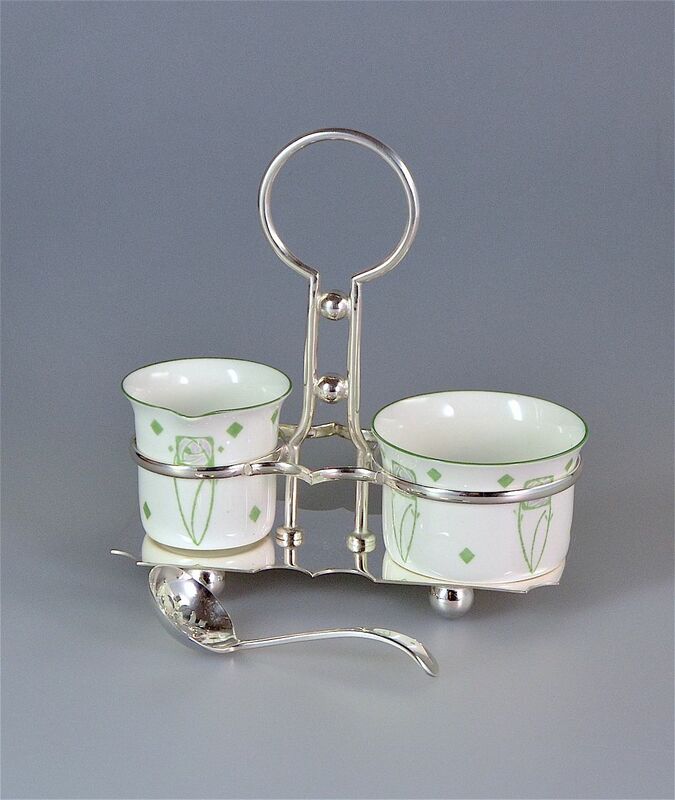 The small sugar sifter has a curved handle and a pierced floral design bowl and is stamped "EPNS". The underside of the base is stamped "EPNS" in a rectangular cartouche and "J.B.C & S. Ltd" in a sickle moon shaped cartouche for J.B.Chatterley & Sons Ltd of Birmingham. Both the jug & sugar bowl have the Foley Art China Peacock Pattern printed mark for c.1905. 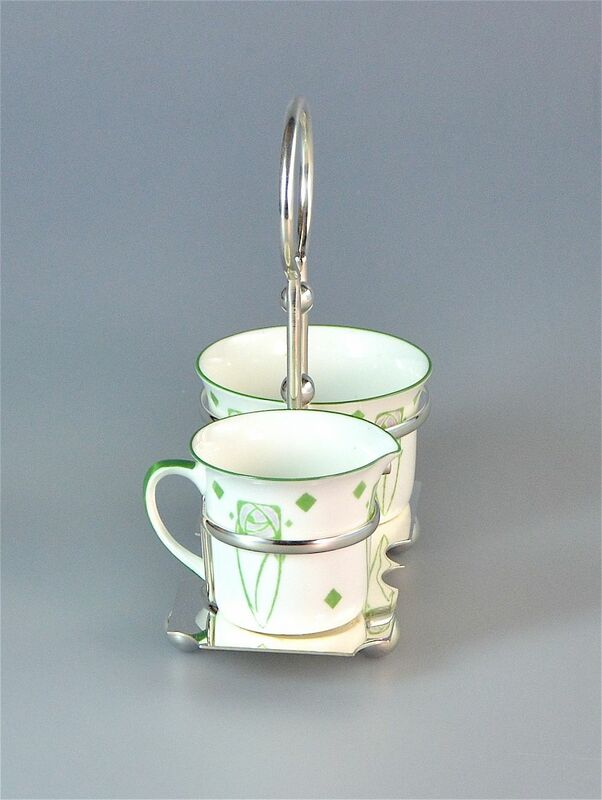 We just could not resist this set even though we tend not to buy china these days. 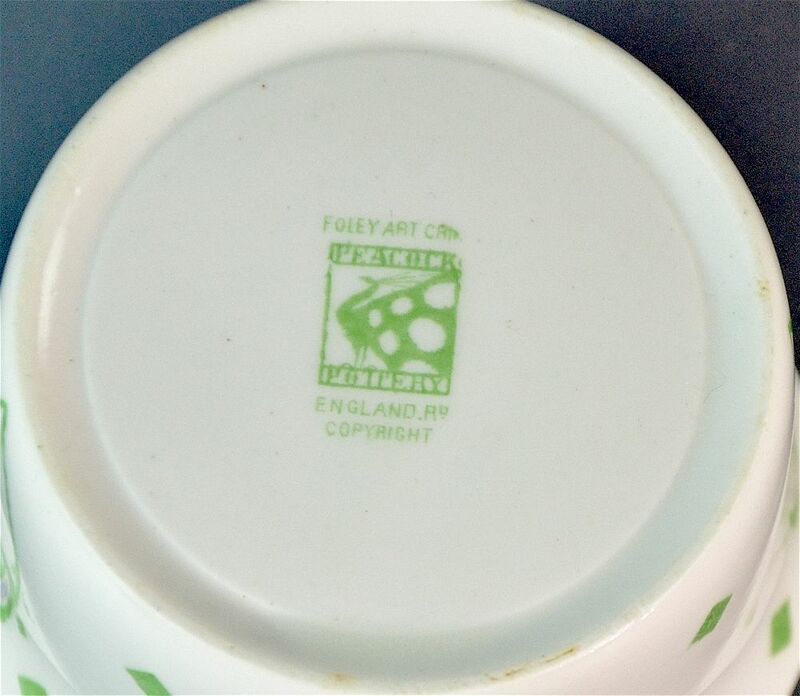 Elijah Brain took over the Foley China Works from Robinson & Son in 1885 but continued to use the mark of "Robinson & Son" until 1903 when they used their own mark.